This is the first series of long division worksheets that introduce remainders. 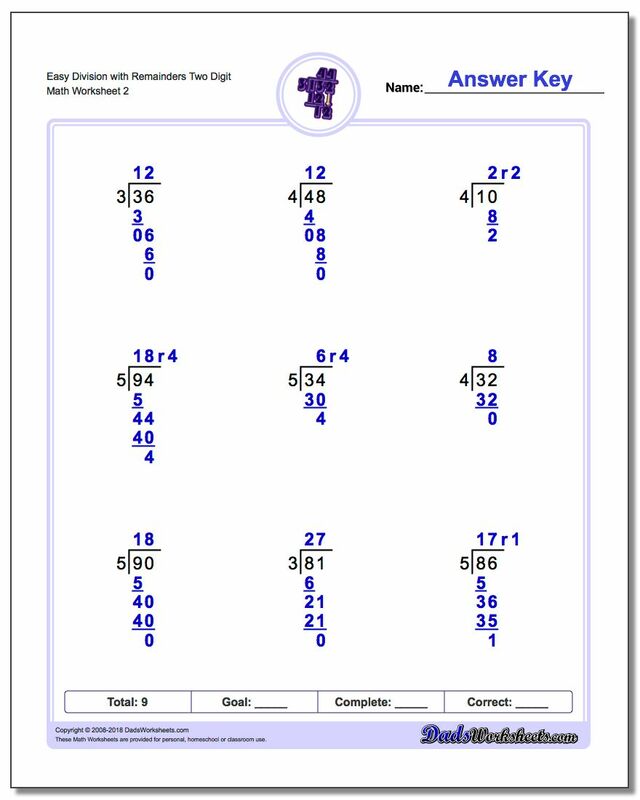 These worksheets begin with simple division facts with small remainders, but quickly progress to sets that incorporate two digit division, three digit division, four digit division and five digit division problems. If the a long division worksheet has easier problems on it, there are more problems per page but the multiple digit division worksheets typically have nine problems per page. 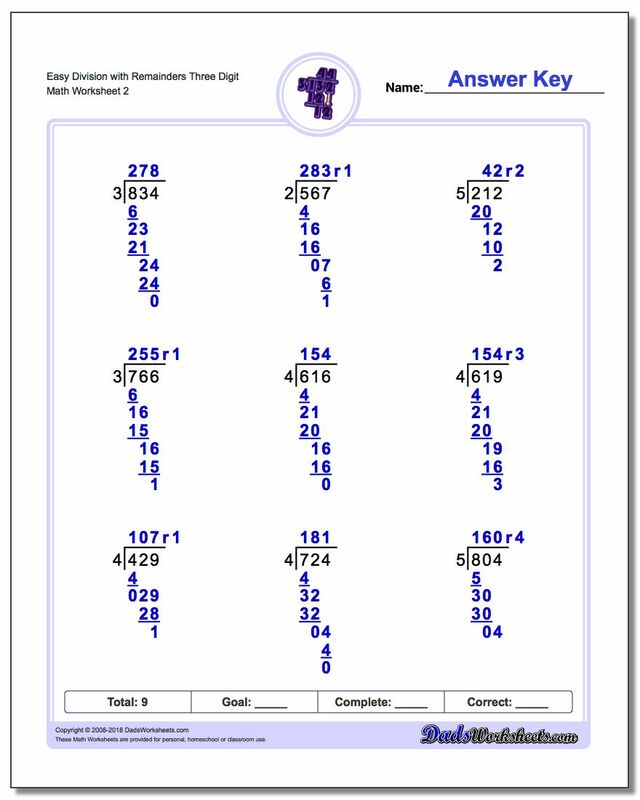 All of the long division problems show complete answers that have the entire series of long division steps shown so students can check the work and see how the quotient was determined.